With a view to provide impetus to the growth of higher education, University Grants Commission (UGC) intends to give more autonomy to the Colleges in the country. This was stated by UGC Secretary PK Thakur who was talking to the media persons here today on the sidelight of historic `autonomous' Khalsa College's 111th annual Convocation. 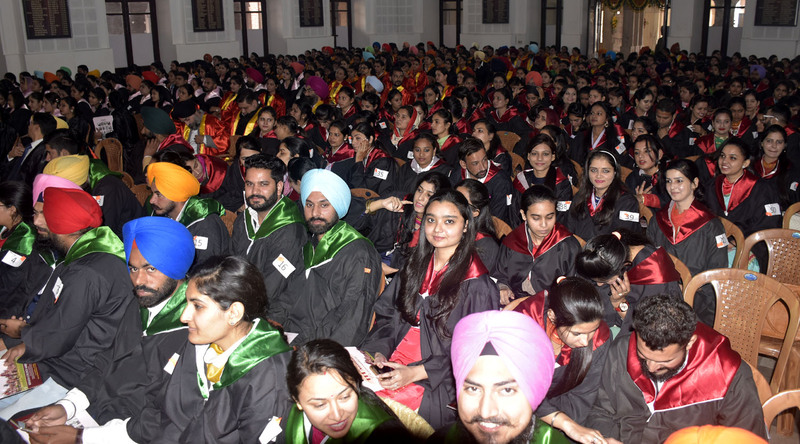 Thakur who distributed degrees to around 600 post-graduate students from diverse faculties said UGC has a well defined policy to give the autonomous status to the College on the lines of the Universities. ``We have parameters set and the institutions which fulfill these will get the status that gives greater academic autonomy to the Colleges. He said though there are financial constraints but no country can progress without the professional and well-structured higher education. ``Prime Minister has immaculate policy to give boost to the higher education for which funds are freely provided'', said Thakur. He said the Universities and Colleges need funds for the infrastructure and academic work which are being provided as per the laid down plan. 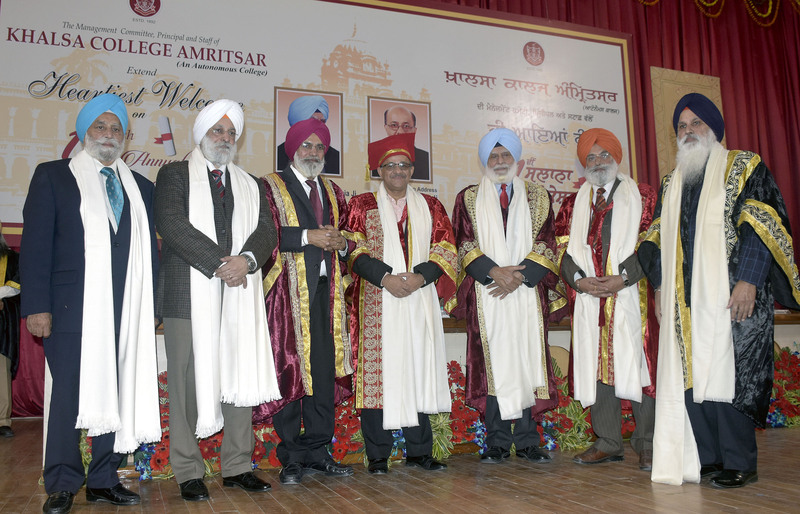 Thakur was earlier welcomed at the 1892 built historic college campus by Khalsa College Governing Council President Satyajit Singh Majithia, honourary secretary Rajinder Mohan Singh Chhina and Principal Dr. Mehal Singh. ``I was amazed to see the heritage building of the college", said he. 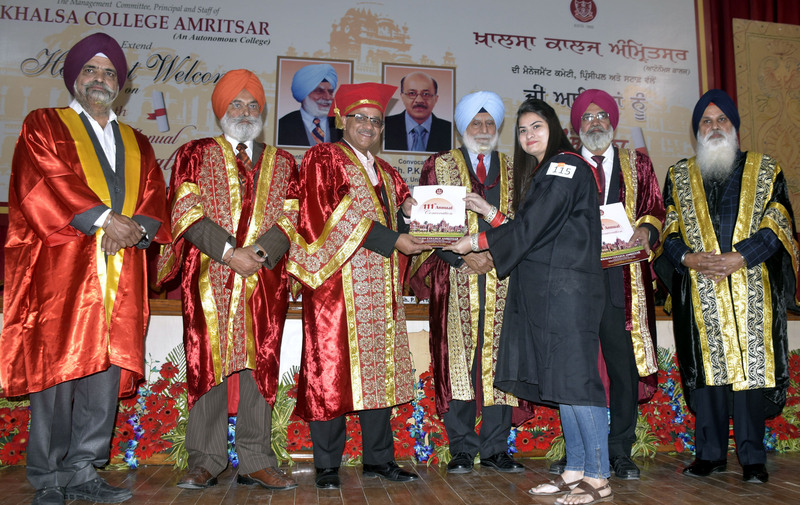 During his convocation address to the students Thakur focused on the value-based education. ``The whole life we remain students and the keenness to gain knowledge must remain with us throughout the life'', said he. While welcoming the chief guest, Satyajit Singh Majithia said that aim of the education is to develop well meaning personalities for the progress of the society. He said this being an autonomous college the responsibility of the college management is manifold to maintain the higher standards of the education. Chhina also stressed on the professional education and the need to educate women to develop the just and progressive society. 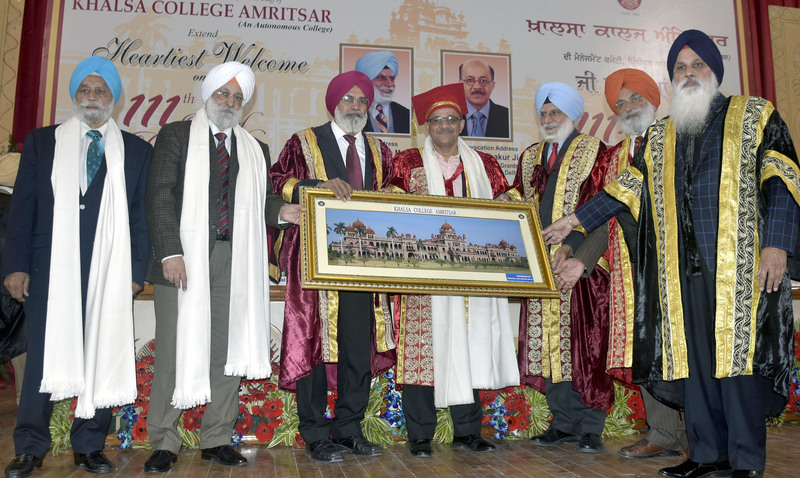 Principal Dr. Mehal Singh read out the detail annual progress report of the college describing the academic, cultural and sports achievements of the institution in the last one year. 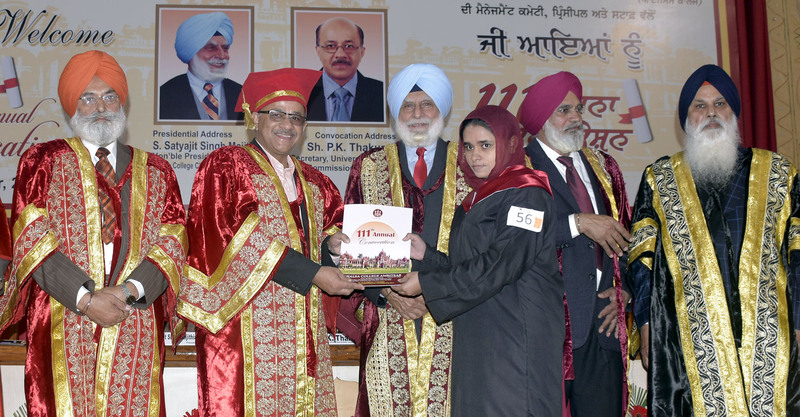 At this occasion two senior members of the KCGC Swinder Singh Kathunangal and Gunbir Singh were honoured for their services to the Society and institutions under the management. KCGC vice President Charanjit Singh Chadha, office bearers, members and principals of other institutions under the KCGC were present.